The Powerscreen® Premiertrak 600 range of high performance jaw crushers are designed for large and medium scale operators in quarrying, demolition, recycling & mining applications. The range includes the Premiertrak 600 & Premiertrak 600E both equipped with the advanced high performance 1200mm x 820mm Terex chamber. Built for the toughest of applications, the robust construction and modern design of the Premiertrak 600 ensures optimum performance, reliability and efficiency. The Premiertrak 600E comes complete with an onboard diesel generator. The machine can be powered from this, or from an external power supply. There is sufficient excess power available to run a second machine such as a screener. 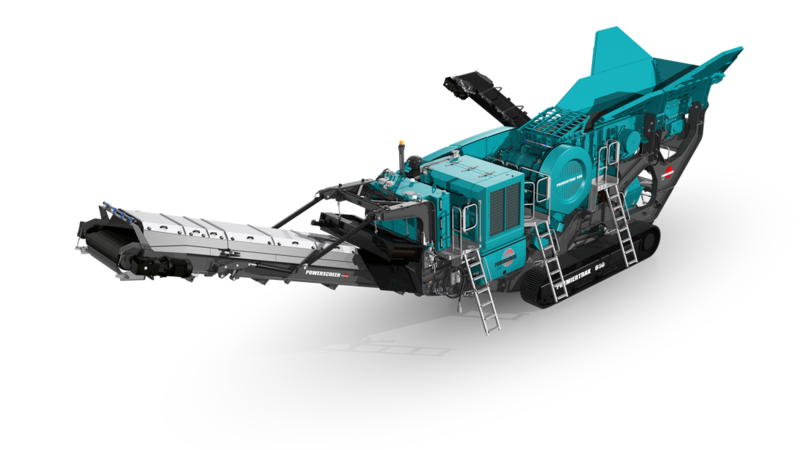 This versatility along with the electrically driven crusher and conveyors makes the PT600E highly efficient, economical and environmentally friendly.